I have flirted with Horde side a few times. They seem to be the most abandoned of my alts though, they don’t have the support system meaning the toons with complementary professions and the gold my alliance do, it makes and easier to walk away from. When a friend moved to Jubie’thos Horde side PVP server for raiding, I dug out a horde hunter that had made it to her 40’s on there , and had already gone through 2 motivational surges throughout my Wow playing history, the first one was when RL friends started a BE female only guild for which I rolled her for, and her first revival when one of my raiding guilds decided to play alts on Jubie horde side for a short period, so for what I thought would be a minor revival, I logged in and brushed off the dust; deleted the bag full of arrows and spent the little gold she had on a better riding skill and some glyphs, and then I kept playing. I got to look around the server, and was surprised to see how many people were on during my peak hours. I’ve now spent a fair bit of time on US servers with high Aussie populations, and their Aussie peak are nothing like a real Aussie peak on a real oceanic server. I hung out until a level 25 guild invited me and I am in a random guild that invites rabble like myself randomly just because we are tagless. She is 67 now, but I want her to 85 just so I can have at least one 85 horde side. 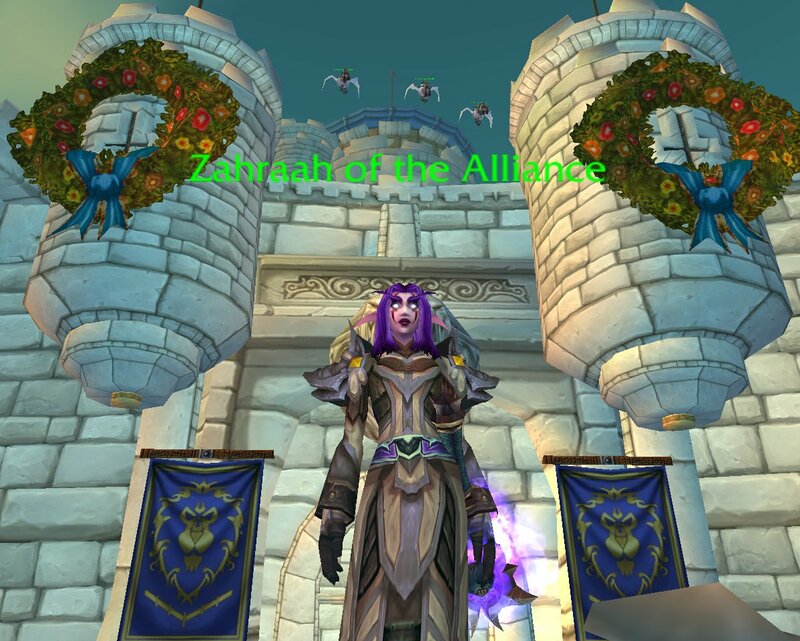 but I am having some allegiance issues, firstly Jubie’thos is a PVP realm, and those pesky Alliance try to kill me when I am questing, and then secondly there are the BG’s I throw myself into to mix up my leveling. My first reaction to seeing a higher score on the BG board next to the Alliance symbol, is ‘yipee’ we are winning. Except I know I shouldn’t be getting exciting over Alliance winning while I am playing Horde. I also feel guilty killing Alliance races. 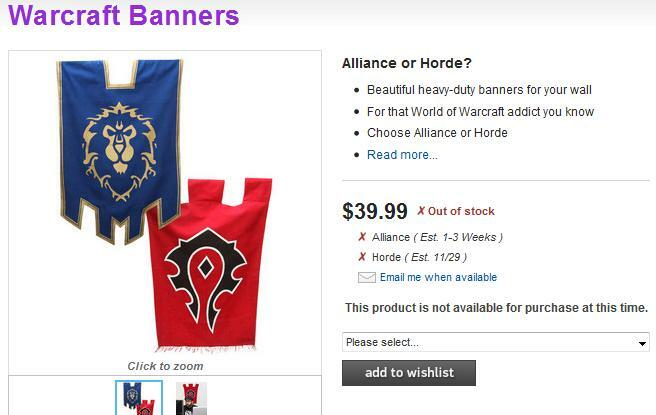 Well I actually play Alliance – Alliance ftw! What about Night Elf Facial tatoos? But I was out shopping today with my Best friend, ( yeah 2nd last day of my holidays from work) and she is also an ex Hordie and Wow player.. in between me telling her about what’s going on in Wow, and convincing her that she does not want to play again, she has escaped the addiction… and besides she won’t roll Alliance if she started again, we saw a local sydney resident wandering through the food court of the shopping centre wearing his Alliance Tshirt. I Couldn’t help it, My Alliance breathren may smite me.